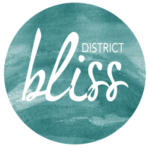 District Bliss has TONS of events scheduled for 2019! Stay up-to-date on our blog and by following us on social media @districtblissevents! Think about how often you’ve set a goal or spent hours to learn a new skill or technology, only to run up against a mysterious resistance you can’t quite seem to shake. You put in hours of time, lots of effort, and piles of money (or all three)…only to lose steam, watch books gather dust on the shelf, and be in the same place you were when you started. Join our masterclass to take your New Year’s resolutions and actually make them a reality. You’ll see new opportunities and clear away the confusion that has kept you from understanding the exact NEXT BEST STEPS. Dawn Dacquisto, owner of Confidence without Cosmetics and Carlsbad Ambassador for District Bliss shares healthy skin and hair care to look your best during the weather changes and the holiday season! Recently, Erin, owner of Mabely Q joined the DB team! She’s getting us organized and putting all of our much-needed system updates in place! The Photographs for our DC Vendor Social at Fostr Collaborative are LIVE! So stunning!